Spencer Group were the main contractor on an innovative project at Pembroke Dock, West Wales for the local Port Authority at Milford Haven Port. The works involved upgrading the existing roll‐on/roll‐off facility to double the available capacity of the dock, by providing both upper and lower access to ferries. 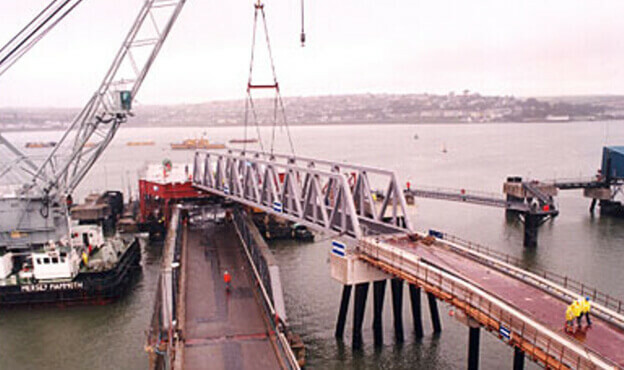 The scope of works included the design and construction of an existing Roll On Roll Off (RoRo) linkspan facility at Pembroke Dock. Spencer Group engaged our specialist design partner MG Bennett to collaborate during the tender, design, construction and commissioning stages of the project. By drawing on the knowledge of two successful design and build delivery partners the design team were able to provide an efficient, effective and safe design which bettered the client’s original scope. 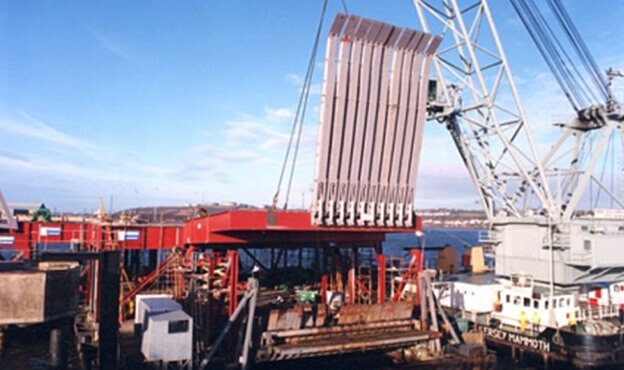 Due to the ferry terminal being upgraded from a single deck to a double deck arrangement, Spencer Group were responsible for the design, manufacture, installation and commissioning of a new hydraulic system to operate the additional cylinders on the upper deck finger flaps, as well as replacing the existing hydraulic system which operated the lower deck. The design also included structural steel and reinforced concrete structures as part of the overall design package. 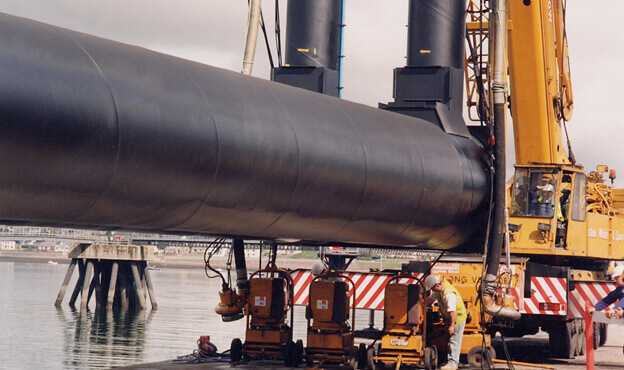 The design team scope included understanding the existing RoRo methodology and incorporating that into the combined RoRo methodology for the double deck finger flaps. As the scope required no impact to the ferry operations the design methodology had to be phased to ensure sufficient time allowance was given to the commissioning of the systems. This involved extensive mechanical and electrical equipment and operation across site to ensure each element was successful.